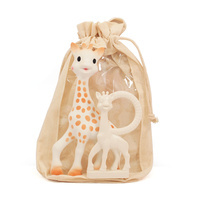 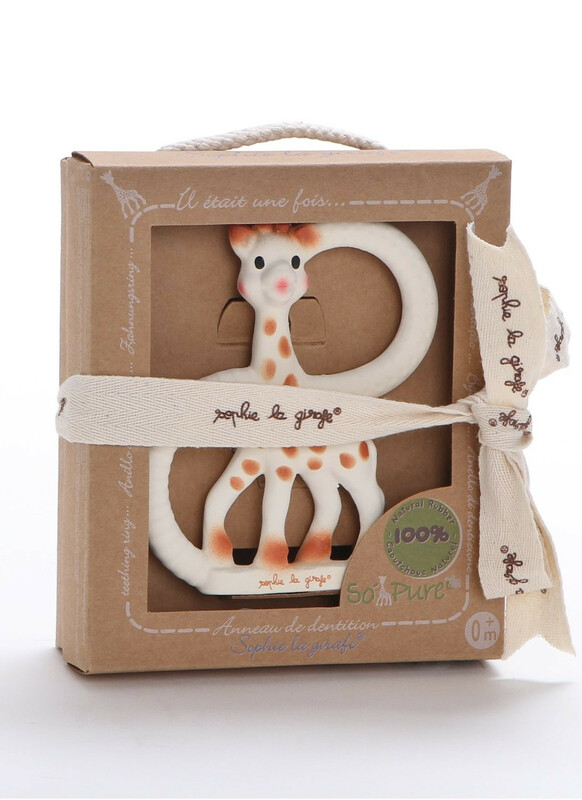 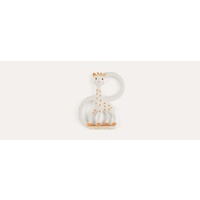 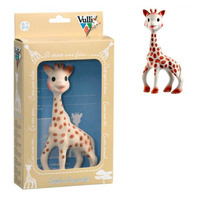 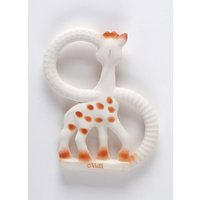 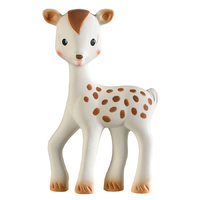 100% Natural Rubber Sophie The Giraffe Teething Ring for your little ones from birth upwards. 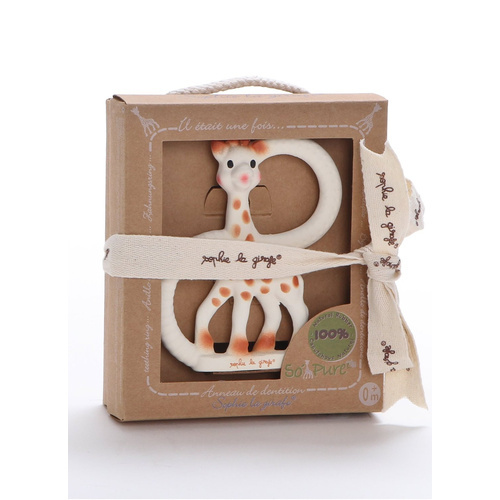 Two different textured rings are meeting with uniqe and classic toy Sophie The Giraffe.Easy to hold and easy to chew to give some relief for your baby’s gums. 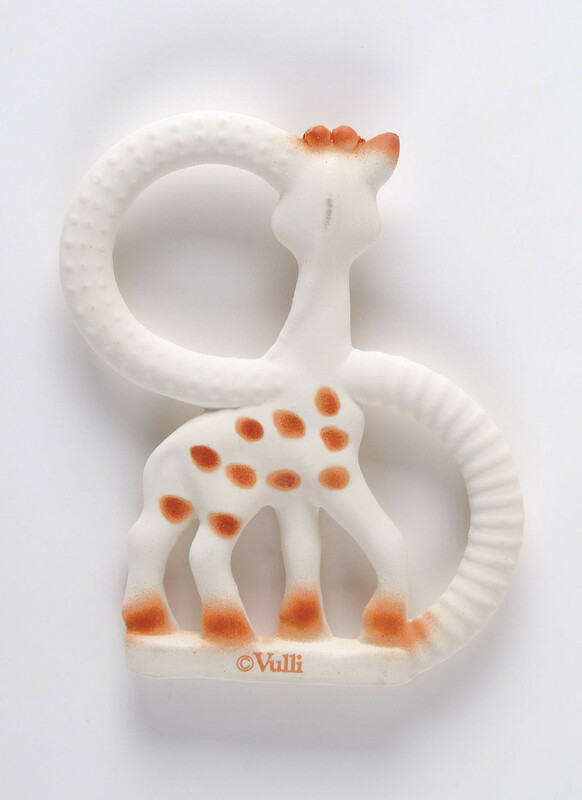 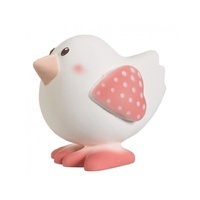 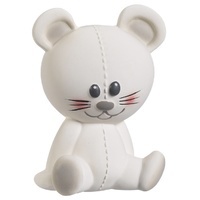 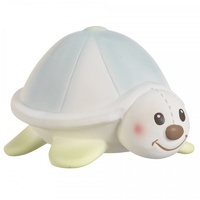 No need to worry about BPA, BPS, phthalates or other chemicals while your baby is chewing away.